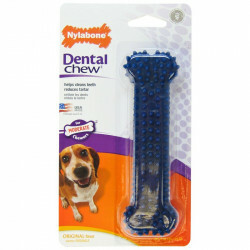 Nylabone Dental Chew dog chews are long lasting, super durable chew toys that help clean teeth and reduce tartar while giving your dog the chewing satisfaction he craves! Dogs love and need to relieve their stress by chewing and chomping, and Nylabone Dental Chews are made for just that purpose. 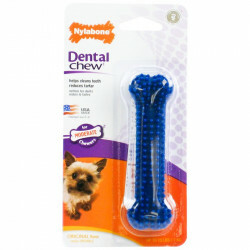 Nylabone Dental Chew chew toys feature tiny dental nubs that gently massage your dog's gums during chewing, helping to prevent gingivitis and other oral health issues that unhealthy gums can cause. Dental Chews help scrape plaque and tartar from your dog's teeth, removing the most common cause of bacteria buildup and helping to preserve your dog's healthy, happy smile. 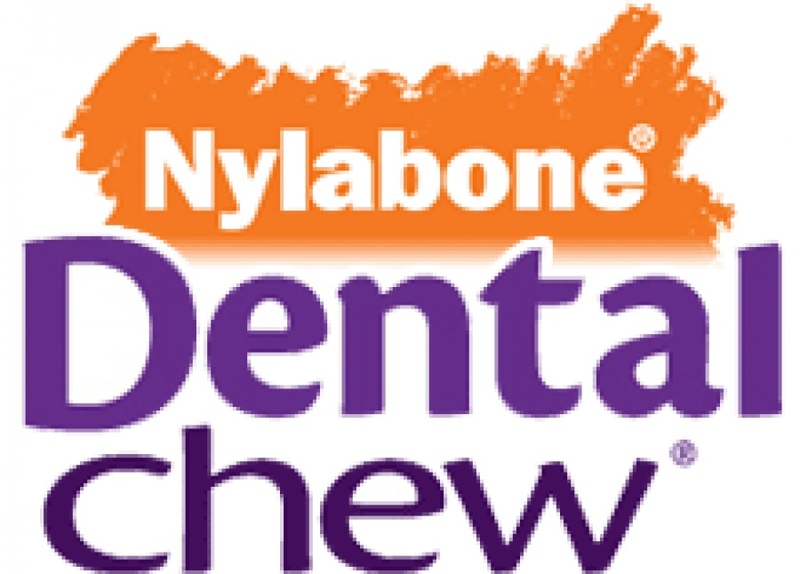 Nylabone Dental Chews are made to withstand any treatment your dog gives them, and are available in special forms for both moderate and powerful chewers. 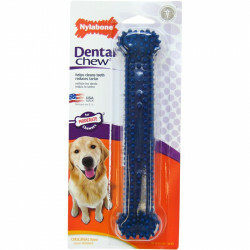 Be sure to browse all of our Nylabone Dental Chew pet products to make sure you find just the right teeth cleaning, satisfying chew treat for your dog. 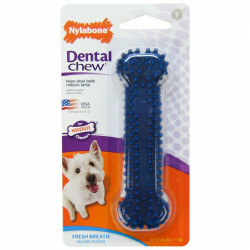 Pet Mountain is pleased to be a leading vendor of great Nylabone Dental Chew pet products. 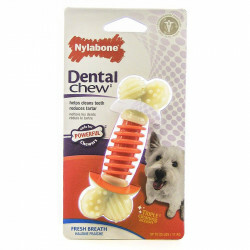 Pet Mountain is proud to offer you a wide selection of Nylabone Dental Chew pet products, at the very best prices available anywhere! Take a look at all of our huge selection of great deals! Can't find something you're looking for? Let us know! We'd love to help. Be sure to check out our online coupons and discount shipping on all your favorite products.